..that Hitler has been on the cover of TIME Magazine 9 times and was declared their man of the year in 1938? 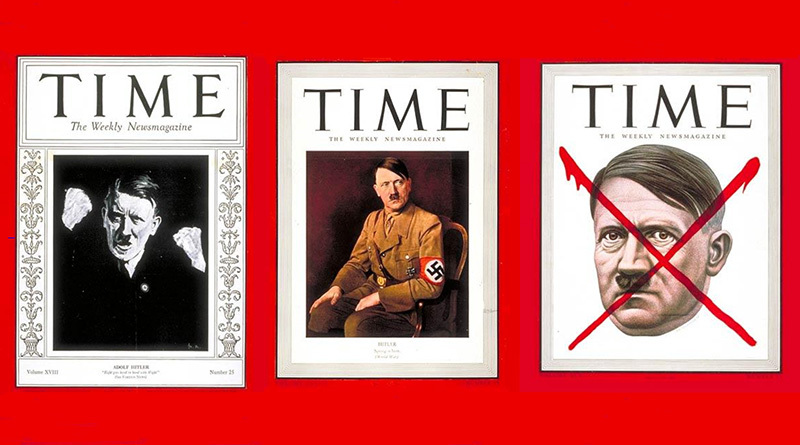 Adolf Hitler, Time Magazines’s 1938 Man of the Year. On January 2, 1939, Time Magazine published its annual Man of the Year issue. For the year 1938, Timehad chosen Adolf Hitler as the man who “for better or worse” (as Time founder Henry Luce expressed it) had most influenced events of the preceding year.